Ventridens demissus (?) (Perforate Dome Snail). Size: approx. 10-15 mm. Photo: 08/10/11, 10 am. Northern Florida is home to three dome snail species. Ventridens demissus is often found in leaf litter but also feeds on the leaves and flowers of garden plants. 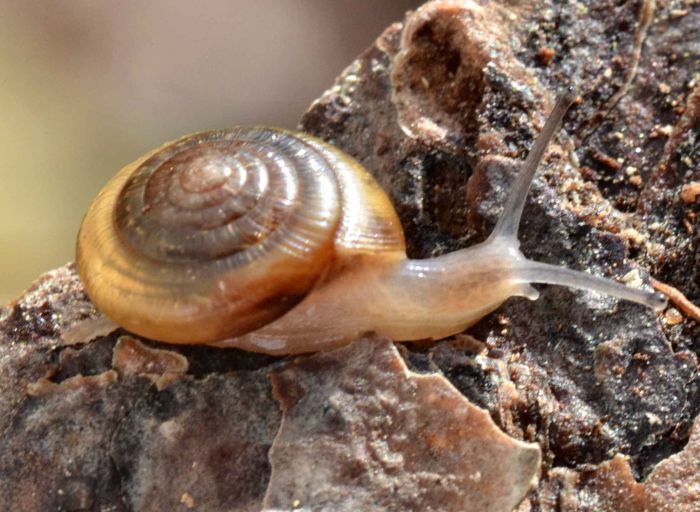 These snails will travel long distances, especially during rainy evenings; during the daytime, they are often inactive clinging to elevated structures.